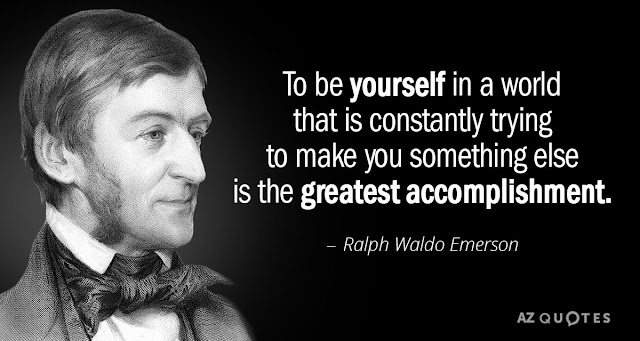 Ralph Waldo Emerson was born today, May 25, in 1803. He was an American essayist, lecturer, philosopher and poet who led the transcendentalist movement of the mid-19th century. He was seen as a champion of individualism and a prescient critic of the countervailing pressures of society, and he disseminated his thoughts through dozens of published essays and more than 1,500 public lectures across the United States. Emerson gradually moved away from the religious and social beliefs of his contemporaries, formulating and expressing the philosophy of transcendentalism in his 1836 essay "Nature." During his early years at Harvard, Emerson found himself attracted to the young freshman, about whom he wrote sexually charged poetry. "A strange face in the Freshman class whom I should like to know very much. He has a great deal of character in his features....His name is Gay. I shall endeavor to become acquainted with him & wish if possible that I might be able to recall at a future period the singular sensations which his presence produced..."
With an unembarrassed frankness he wrote in his journal about the disturbing power of the glances he and Martin Gay exchanged. He would remain susceptible to such crushes, expressed at first through glances, all his life. Later he wrote about the quickness with which a glance could arouse a depth of interest. He had a sort of theory of "the glance." And while he heavily crossed out the Martin Gay journal notes at some later time, his initial recording of them indicates his essential emotional openness. Emerson's journal was subsequently filled with many poems, comments and references to Martin Gay, who went on to become a prominent Boston physician. As for Emerson (1803-1882), his first wife died at age twenty. 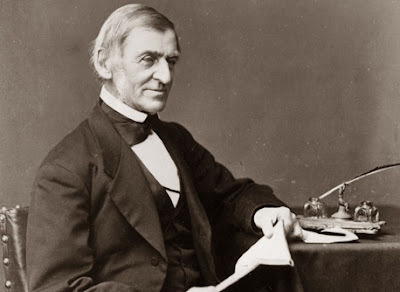 Emerson did not seem to inspire passion in women, and he treated his second wife according to strictures of those times – wives were for bearing children and running households. Emerson proposed marriage to his second wife by writing her a letter. After the nuptials she treated him coolly and always called him Mr. Emerson. While Emerson admitted he could not write the sort of romantic love letters that women wanted, he had no difficulty writing sexually suggestive poetry about Martin Gay, and he wrote about Nathaniel Hawthorne in passionate terms, as well.